Brooke joined the Hopper family in February 2017. In addition to being a REALTOR, she is a seasoned real estate paralegal with more than 25 years of experience in real estate transactional law, including commercial, residential and multi- family acquisition and sale transactions. Brooke LOVES working with buyers, sellers and investors! Whether she is helping to find the perfect home or getting a house sold for top dollar, Brooke has what it takes to get the job done. Her years as a paralegal has gifted her with the knowledge to sort out and overcome any problem that may arise when a real estate transaction gets tricky. She takes the stress OUT of the transaction! 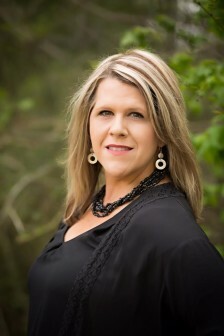 Brooke received her Bachelor’s degree and completed the American Bar Association (ABA) accredited paralegal program from the University of Southern Mississippi. Brooke has been a resident of Brandon for 21 years. She is married to retired AFSSG Scott Reeves, who serves as a Deputy Sheriff for Hinds County and a Lieutenant with the Jackson Fire Department. She has 2 children, Mitchell and Mackenzie from a previous marriage.